Drinking water supplies for 14 million Americans are contaminated with a cancer-causing industrial solvent made notorious by the book and film "A Civil Action," according to a new EWG analysis of tests from public utilities nationwide. The chemical is trichloroethylene, or TCE. Under the Trump administration, the Environmental Protection Agency is retreating from an earlier proposal to ban key uses of TCE. The EPA is also excluding TCE exposures through water, air and soil pollution from an ongoing safety assessment under the nation’s overhauled toxic chemicals law. In 2015, the latest year for which comprehensive data are available, TCE was detected in EPA-mandated tests by 321 public water systems in 36 states. EWG’s Tap Water Database, which aggregates test results from utilities nationwide, shows that in about half of those systems, average annual levels of TCE were above what some health authorities say is safe for infants and developing fetuses. EWG’s interactive map shows the location of all systems with TCE contamination in 2015. Drinking TCE-contaminated water has been linked to birth defects; damage to the brain and the nervous, reproductive and immune systems; and increased risk of cancer. The EPA’s legal limit for TCE in drinking water is 5 parts per billion, or ppb. That limit was set in 1987, but more recent research suggests TCE could be harmful at much lower levels. In 2013, the Minnesota Department of Health set a health-based guideline for TCE in drinking water of 0.4 ppb. Based on state scientists’ review of hundreds of peer-reviewed studies, the guideline is meant to provide protection against harm to the immune system for those exposed during pregnancy, infancy and early childhood. The guideline is not legally enforceable, so as long as a water supply in Minnesota or anywhere else meets the federal standard of 5 ppb, it is in legal compliance. But the guideline acknowledges that legal does not always mean safe, as EWG research has demonstrated. The state’s Information Sheet on TCE and drinking water is unequivocal: “TCE in drinking water is safe if the level is at or lower than the MDH guidance value of 0.4 ppb.” The advisory explains why. Because of new information and new methods used to develop guidance, this level is more than 10 times lower than the previous guidance value of 5 ppb. A person drinking water at or below the updated guidance value, whether exposed briefly, occasionally, or daily for a lifetime would have little or no risk of health effects. EWG’s map highlights the 151 water systems where the annual TCE concentration in 2015 exceeded the Minnesota guideline. But even where the annual average for the entire system is below 0.4 ppb, some customers may be getting tap water from a groundwater well where the concentration of TCE is higher. Levels of pollutants in the water flowing from customers’ taps fluctuate during the year, so the annual averages shown on our map reflect the overall level of concern for TCE contamination in a given water supply. For our calculations, we treated samples reported as “no detection” as having no TCE contamination, even though TCE may have been detected in concentrations below the minimum reporting levels required by the EPA or state agencies. TCE exposure is particularly harmful during pregnancy and childhood. TCE exposure during pregnancy has been linked with heart malformations in the fetus. And it’s not just from drinking water: TCE volatizes from water into indoor air. People whose water is polluted with TCE can inhale the chemical during bathing, showering, washing dishes and other everyday activities. The health risk from TCE is greatest for children because of their small size – on a body weight basis, they breathe in more air and drink more water each day than older children or adults. For decades, TCE has been discharged into water, soil and air from facilities where it was used as a metal degreaser, a dry cleaning agent, and a solvent used in making many products, including Silicon Valley semiconductors and electrical transformers. TCE is also used in common consumer products, such as arts and crafts materials, automotive products, and home cleaning and maintenance supplies. These uses can contribute to TCE contamination of indoor air. More than 400 Superfund sites have TCE contamination that can spread into groundwater and threaten drinking water supplies. Many of these Superfund sites are at or near military bases, such as Camp Lejeune, the sprawling Marine Corps base in North Carolina. Veterans and their families who served and lived there later developed various kinds of cancer and neurological ailments, such as Parkinson’s disease, from drinking water contaminated with TCE and other toxic chemicals. In addition to recognized Superfund sites, there are a much larger number of hazardous waste sites across the country, such as landfills, dry cleaners and other small-to-medium size businesses where TCE may have been used and discharged. Many of these hazardous waste sites pose a contamination risk to groundwater. TCE contamination of tap water can be remedied. Granular activated carbon and air stripping or aeration are the two most common approaches for removing TCE. But it’s expensive and the cost depends on how much the source water is contaminated and the treatment method used. Treating a single TCE-contaminated water source can cost between $100,000 and $200,000 a year. For a water utility, the costs add up quickly, because TCE-removing treatment may be needed at multiple wells, and the level of TCE in a well may rise as the contaminated groundwater plume spreads. Full remediation of contaminated groundwater and installation of modern water treatment plants that can tackle contamination in the long term can cost tens or hundreds of millions of dollars. Many people – especially pregnant women and families with infants or small children – may not want to wait until their public water system installs TCE treatment. As an immediate, in-home solution, TCE can be removed from tap water with an inexpensive carbon-based filter. Minnesota health officials also recommend ventilating indoor air while bathing/showering, cooking, and while running the dishwasher or washing machine as an effective way to reduce the amounts of TCE in indoor air. TCE is also a serious health concern for those who depend on private wells for their drinking water supply. U.S. Geological Survey data from 2006 suggest that almost 3.5 percent of private domestic wells may be at risk of TCE contamination. Because more than 40 million Americans rely on private wells for their water, up to 1.5 million people may be affected. The actual number of private wells with TCE contamination is likely much higher because private wells aren’t tested regularly. Pollution from improper waste disposal or leaking storage tanks can taint drinking water for decades, and has done so in communities such as Mancelona, Mich. By the time water contamination is discovered, the companies responsible for the contamination may be long gone, leaving local communities as well as state and federal agencies to pay for cleanup. The Mancelona plume is one of the largest in the U.S., with TCE levels in groundwater as high as several hundred parts per billion. But in December 2017, the Trump administration backtracked on the EPA’s proposals, suggesting that it would not move forward with the proposed bans on aerosol degreasing, spot cleaning and vapor degreasing. These actions came after aggressive lobbying from the chemical industry. The Halogenated Solvents Industry Alliance, a trade association representing TCE manufacturers, repeatedly requested that the EPA and former EPA Administrator Scott Pruitt delay decision-making on the proposed bans, and its requests were granted. In June 2018, the EPA released so-called problem formulation documents that refine the scope of the risk evaluations for the first batch of chemicals, including TCE, to be assessed under the recently updated TSCA law. But for TCE and three other chemicals, the EPA excluded key exposures from polluted air, water and soil from the scope of its safety assessments. This approach could dramatically underestimate the total number of Americans who are exposed to TCE and the other chemicals the agency is assessing. The EPA should include exposures from all TCE uses in its safety assessment, and take immediate steps to protect American workers and communities from this dangerous chemical. The EPA should also establish a new federal drinking water standard for TCE at a level that would protect children’s health. Even when drinking water utilities or homeowners install a TCE-removing treatment for drinking water, people may be still exposed to TCE vapors in the air of homes, schools and workplaces if the groundwater or soil are contaminated. News stories from across the nation, and reports by state and local health agencies highlight the seriousness of the problem. TCE vapor intrusion is most of concern for people and communities near the hazardous waste sites where TCE contamination has reached the groundwater. The air in many homes in Mountain View, Calif., in the heart of Silicon Valley, has toxic levels of TCE from a legacy of semiconductor manufacturing. Not all of the TCE-contaminated sites and contaminated groundwater areas across the nation have been identified or fully assessed, which means that some people may live in an area at risk from TCE vapor intrusion, but don’t know it. Some chemicals break down in soil. But chlorinated solvents like TCE are more stable and can evaporate and enter buildings through small cracks or openings in foundations. Inhaling these vapors over time carries similar health concerns to exposure through drinking water – cancer, damage to organs, neurological damage and birth defects. The extent of vapor intrusion in U.S. homes may be largely unreported, as there are likely plumes from small, unaddressed sources such as legacy hazardous waste sites, landfills, and former industrial or commercial sites. To reduce indoor air exposure to TCE, mitigation systems can be installed in homes and buildings to vent the vapors outdoors. But such systems can be costly, and homeowners often do not have adequate financial resources to address the contamination. TCE has also been reported as a problem for indoor air in schools and preschool facilities. In the absence of federal leadership, some states are taking actions to protect their residents from TCE. For example, the New York Department of Environmental Conservation publishes recommendations for mitigation of TCE indoor air contamination and guidance for addressing toxic chemical vapor intrusion. 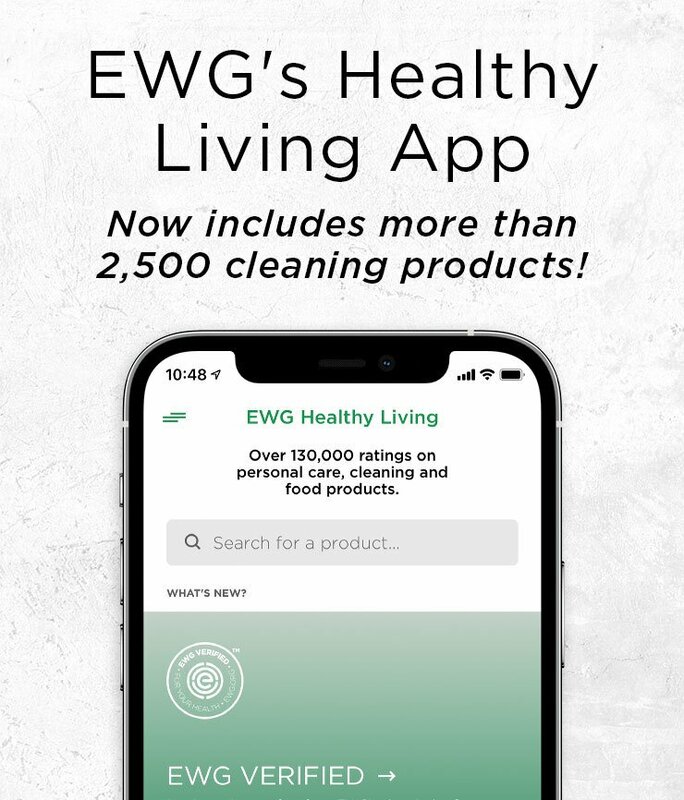 If TCE is found in your water, even at levels below the federal legal limit, EWG highly recommends filtering your water. Look for a carbon-based filter that is certified to remove TCE. All public water utilities are required to provide consumers with an annual Consumer Confidence Report, but these reports often don’t give the full results of tests for contaminants. You should contact your utility to learn about the full range of the most recent tests for TCE, and ask what the utility is doing to remove TCE from tap water if it is present. If TCE is measured in your indoor air, contact your state health department about recommendations for ongoing monitoring or the need for a mitigation system. If you have a private well, and suspect any sources of contamination or hear of TCE detections in your area, get your well tested. The National Library of Medicine ToxMap lets users look up hazardous and contaminated sites in their communities, and find out which chemicals have been found. This information can be helpful in deciding for which other contaminants, in addition to TCE, you may need to test. For a detailed explanation of how we calculated TCE contamination in public water systems, see our methodology. This analysis presents the results of water testing that community water systems conducted in 2015. Water testing data for trichloroethylene and other contaminants were provided to EWG by state drinking water agencies and posted online in EWG’s Tap Water Database. Aggregating test results from nearly 50,000 utilities in 50 states, the Tap Water Database is the most comprehensive resource available on U.S. water quality. Information in our map and analysis reflect water quality in 2015. Since that time, some of the water utilities may have installed additional treatment or changed water sources. The most up-to-date information about trichloroethylene in a specific utility’s water should be obtained from the utility directly. Each public utility is required to provide customers with a Consumer Confidence Report, but these reports often don’t give the full results of tests for all contaminants. The Tap Water Database has information for 321 utilities that tested for TCE in 2015. Each utility’s entry reports trichloroethylene levels for the day the sample was collected and the laboratory ID for the sample, where available. Calculation of water system averages included all available samples for an individual utility for 2015. Different water systems across the country may use different testing methods with different limits of detection for identifying TCE and other contaminants. For the calculation of averages, EWG treated samples reported as “no detection” as having no TCE contamination. TCE averages presented in our map, the database and this report reflect the overall level of concern for contamination for a given water utility. The levels of the chemical in finished water served to customers at the tap can fluctuate depending on the specific water source; the design, operation and maintenance of the water distribution system; and installation and operation of additional water treatment specific for TCE. Some water systems also blend water from different sources depending on their service needs. This mixing may reduce the average contaminant amount in the finished tap water served to consumers. The presence of TCE in source water or in specific groundwater wells may prompt some utilities to remove contaminated wells or sources from use. Additionally, the number of people served by each water system is important. Small systems have limited capital, and tend to use more chlorine and have more leaks within the distribution system. Such leaks can increase the movement of TCE from soil into the water that flows through the pipes from the drinking water treatment plants to customers’ homes, and this contamination would not be detected in the water tested at the treatment plant. To address any changes in water sources, water treatment technologies and TCE remediation that water utilities may have installed since 2015, EWG searched for online news stories, press releases and other sources of information about actions utilities may have taken. Where available, links to this information are provided on the pop-up legend window for individual water utilities displayed on the map. Information about TCE water treatment that utilities installed or plan to install is current as of June 2018, and represents publicly available information on the internet that EWG could find. This water treatment information does not serve as a comprehensive dataset for TCE water treatment for water systems nationwide. Some changes in water sources and water supply, especially those after 2015, may not be reflected in EWG’s analysis due to lack of publicly accessible online information. EWG mapped public water systems according to the information available in the EPA’s Safe Drinking Water Information System. The mapped locations may not exactly match the service area. Instead, they are intended to show the general location of a public water system. Information about the size of the population served also comes from the EPA’s Safe Drinking Water Information System.